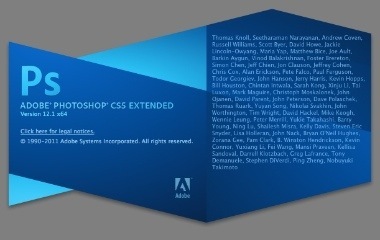 If you are planning creating apps with Adobe InDesign and Adobe Digital Publishing Suite, I strongly recommend that you have Adobe Photoshop CS5 Extended in your tool set. Here's why. If you're creating Apps with Adobe Digital Publishing Suite, you'll probably be including video in some capacity. Yes, Adobe After Effects, Adobe Premiere Pro, and Adobe Media Encoder all are wonderful tools for working with video, if you know how to use them. But Photoshop is a tool that most of us are reasonably adept with. So it's really nice that Photoshop CS5 Extended has some features for working with video and animation. * Extracting the last frame of a video sequence and saving it out as a JPEG. This is a necessary step with DPS if you want to make a video appear to stop on the last frame. * Saving each frame of a video clip to a separate, sequentially numbered JPEG file to use with the DPS image sequence feature. * Cropping a completed video to a new aspect ratio to better fit a DPS screen layout. If you have Creative Suite Design Premium, Web Premium, Production Premium, or Master Collection, you have Photoshop Extended. If you have Creative Suite Design Standard, you only have Photoshop. Information on how to upgrade can be found here.